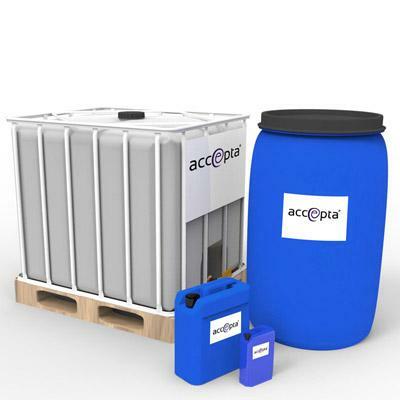 Accepta 2054 is a high performance glycol based antifoam and defoamer scientifically formulated for use in secondary treatment or final effluent in a wastewater treatment plant. Accepta 2054 will rapidly reduce existing foam and can also be used as a defoamer. Accepta 2054 is effective over a broad pH range. Note – DO NOT use Accepta 2054 for potable drinking water. Highly effective antifoam and defoamer for wastewater applications. Easy to handle, feed and store. Typical dosage rate for Accepta 2054 is 10 – 100ppm, although the actual dosage rate depends on the site conditions and should be determined by test. Dosage should be as close as possible to foam generation. Feed Accepta 2054 neat or as a 2 – 40% dilution.